IP finance: A bridge too far? In Quick Draw LP v Global Live Events LLP and others  EWHC 2105 (Ch), 30 July 2012, Sarah Asplin QC, sitting as a Deputy High Court Judge in the Chancery Division, England and Wales, had to consider, in the context of a bridging finance agreement, whether there had been a transfer of intellectual property rights. 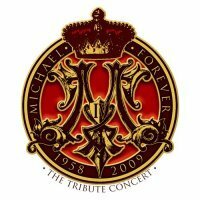 Quick Draw provided bridging finance by way of a loan agreement and debenture to the first defendant, Global, for the 2011 Michael Jackson Forever tribute concert. The second and third defendants, Hunt and Henry, were the concert organisers. The fourth defendant, Iambic was a company which Global set up and then commissioned to produce film and sound recordings for the concert. Once it transpired that Global was unable to repay the loan, Quick Draw brought claims relating to the financing arrangement and also claimed to have acquired intellectual property rights from Global in relation to the concert way of security for the loan. In a 226-paragraph judgment Sarah Asplin QC upheld Quick Draw's claim and rejected Global's assertions that the IP rights were not covered by the commissioning agreement or the debenture but were owned by Iambic. The debenture should be construed as though it were a mortgage and not a mere charge; as regards copyright, the commissioning agreement operated as an assignment subject to reassignment on satisfaction of the security, covering both future copyright and debts. The judge went further, holding that there was no licence in favour of Iambic to counter copyright infringement relating to the production of an edited programme which was later made by or for Iambic. Since Quick Draw enjoyed the IP rights, it followed that Henry had infringed copyright by seeking to authorise others to commit infringing acts and that Iambic had infringed performers' rights by making copies of the concert recordings for the edited programme and by issuing copies of the recordings to the public. There was common design between Hunt, Henry and Iambic to infringe Quick Draw's copyright and performers' rights. In an ideal world, disputes of this nature would never arise because the terms of the bridging finance would be so crystal clear, so explicit, that the question of ownership or control of copyright and performers' rights would never come close to being in dispute.